The brand new Snark Napoleon Tuner is small but mighty! With a smaller profile than the standard Snark Tuners, the Napoleon will be sure to help you out with your tuning battles. Napoleon comes with Snark's legendary tuning technology that is loved by musicians across the world. The simple clear display and one button operation gets you tuned up with the minimum of fuss. In addition, the Napoleon Tuner comes with a detachable Pick holder to hold all your plectrums in a handy place. 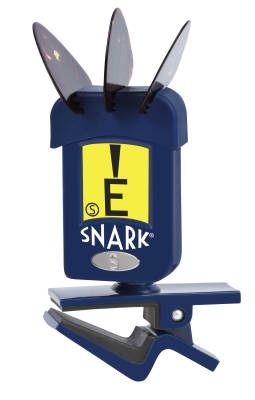 Strings.ie is an authorised dealer of Snark Tuners, we source our products from official distributors to guarantee the quality musicians expect.